When you are locked out of your office or have lost the keys there is no reason to stop your business or break windows to get in. Call the commercial locksmith in Plano and get your issue resolved soon and affordable. 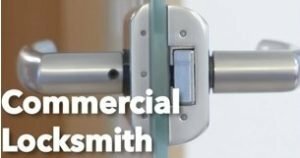 Like a lockout situation, you can also find your business premise to be vulnerable to break-in or similar threats, but the assistance of a professional commercial locksmith can help you find the right solution to your needs promptly and with ease. We understand how important it is for you to secure your business premise and safeguard your important assets, data along with ensuring the safety of your employees. As a leading and proficient Plano commercial locksmith service provider, we cover all types of commercial establishments in the region, small to large, and provide prompt, fully reliable and affordable locksmith services for any type of lock and security condition. Wherever your business is located in and around the Plano city, you can count on our comprehensive range of services and dedication to serve you round the clock that you will find the aptest solution from our team of industry experts. No job is too small or big for us. We implement industry best practices and grasp the security needs of our customers fully to meet the ever-growing security challenges faced by businesses with full proficiency. No two locks are made same. No business wants their security system duplicated or compromised in any situation. 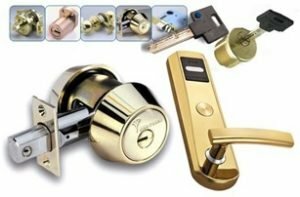 We understand the uniqueness in each and every condition, whether you have lost your key, broken the lock, want to replace your locks or key, or feeling insecure about your access control systems, electronic keyless entry systems at your office premise. Therefore, we incorporate a unique and personalized approach to deal with every specific customer requirement in the aptest manner that provides them with the right and fully secured solution. Covering all the essentials in the industry, equipped with the latest tools and technologies, and knowledge of ages-old, as well as modern high-tech locks and security systems, helps us to take the path of least resistance that is most fit for the customer. We deal in an extensive range of brands and make & models of security systems and locks, ensuring whatever issue you are facing we have the right solution to meet your needs, on-the-spot, within your budget. Fully licensed & bonded professionals, highly trained technicians, we are able to commercial security service requirement of any type right away. Our expert locksmiths are ready-on-call all the time with a fully equipped mobile van and we are able to reach your business premise in the least possible time, offering friendly, skilled assistance no matter the time and day. We work 24/7, enabling consumers to get needful assistance regarding their commercial property security with full proficiency and reliability the moment they need it.